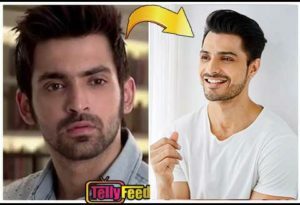 It brings a wind of happiness to Zee World Twist of Fate lovers and fans due to the awareness of the return of the second season of the series by September 2nd both in Swahili and English Language this year. Most of us have forgotten what the storyline is about so let’s refresh our memories in the below Summary. 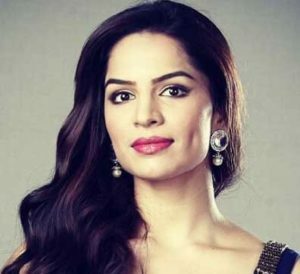 Twist of fate revolves around the tale of a young, kind and innocent teacher named Pragya who was married to a rockstar, loved and a popular musician named Abhi. As it is an arranged marriage, the duo never expressed love and affection towards each other. Tanu (abhi ex) and Aliya(Abhi sister) take advantage of the situation by manipulating Abhi’s mind against Pragya. But what they least expected happens when the couple fall deeply in love with each other. However, their enemies won’t let them enjoy their marriage in peace and plots to separate them at all costs. Will Abhi and Pragya’s love triumph? Or will their enemies succeed in breaking their bond? After experiencing a terrible car accident, Abhi suffers from a brain damage and could not remember anything from his past. Due to the doctor’s advice, Daadi helplessly urges Pragya to leave the house. In tears and depression, Pragya leaves from the Mehra’s house. Tanu is happy about this and tells Pragya not to return to Abhi’s life anymore. On the other hand, Abhi doesn’t remember his marriage with Pragya or his feud with Aliya, instead, he only loves Aliya and cares so much for her. Aliya takes advantage of this to dominate once again. Pragya reminisces the time she spent with Abhi and decides to take up a small job. She would be seen getting the job of a receptionist in Abhi’s musical company. As fate would have it, Abhi takes a liking on Pragya and they become close and fall in love once again. 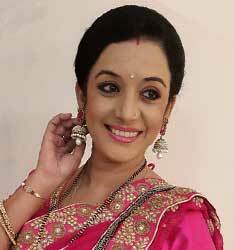 However, Tank continues to pressurize Abhi into marrying her with the help of Aliya and Nekhil. Tanu’s mother also tricks Abhi by faking a cancer illness and states that she wants to see her daughter married before dying. Being an emotional person, Abhi agrees to marry Tanu. During the sixth round of the marriage pheras, Abhi falls down and gets blur flashbacks of his past moments with Pragya. He is about to complete the wedding ceremony with Tanu when Sarla comes in to break the news of Pragya’s kidnapping. Abhi hurriedly leaves the mandap with the wedding uncompleted to save Pragya from the kidnappers. He rescues her and they unite with their love igniting once again. On their way home, they met with an accident and Abhi regains his lost memory. However, another twist arises with the appearance of Pragya’s father and 2 other unknown sisters which Pragya had. Nekhil hires goons to go after Pragya and they shoot her, then she falls into the river. Abhi’s efforts goes to vain as he could not find Pragya. A month later, a look-alike of Pragya named Munni is shown. Abhi meets her and thinks she is Pragya and Aliya sees this as an opportunity to involve Munni in their plots. Aliya takes extreme measures against Munni by kidnapping her children in order to bring her to cooperate with them. Munni helplessly joins them. After battling for her life in hospital, Pragya comes back and finds Munni in Abhi’s life. But, she is lucky once again as Munni agrees to help her in her fight against Tanu, Aliya, and Nekhil. Munni switches Pragya with herself and Pragya enters the Mehra’s mansion as Munni. Unknown to Tanu and Aliya, they foolishly involve Pragya in their plans thinking she is Munni. Purab saves a young lady named Disha from dangerous thugs and decides to help her from her wicked fiance by getting married to her. He is at first reluctant to express his love to Disha due to his past life with Bulbul but he later gives their marriage a chance by loving her truly and they consummate their love. The story spices up with the entry of a new villain called Simonica. She plots against Abhi and tries to revenge him for her husband’s death. Simonica did all her very best to trap Abhi and send him to jail but her plans backfire when Pragya sends her to jail instead. While going to prison, Simonica manages to escape from the police and arrives at the Mehra’s mansion.Purab and Disha’s baby shower ceremony is being celebrated at the house. 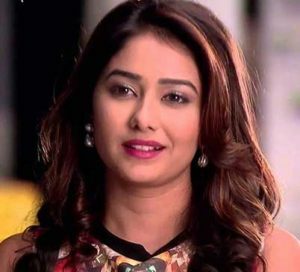 Simonica calls to meet Pragya alone at a deserted warehouse. Pragya decides to go with the police and takes Daadi’s blessings before leaving. Out of fear, Daadi takes a big risk and gets to the location before Pragya. She gets into an argument with Simonica and this yields into Simonica shooting her. Pragya gets there with everyone but it is too late as Daadi suffers critically from the gunshot. Police arrests Simonica and Daadi is rushed to the hospital. She could not bear the pains due to her old age so she passes on. Aliya blames Pragya for this and makes Abhi believes its all Pragya’s fault. Out of annoyance, Abhi kicks Pragya out of his life and tell her never to return. However, this is not the end of the series. There is still more to come, stay tuned! Pragya is the supportive sister of Bulbul and loving wife of Abhi. Initially, she was so meek and calm which made her enemies take advantage of her calmness. But later, she changed into a new avatar by becoming strong and determined to protect her husband from the wrath of his sister(Aliya). Tanu is Aliya’s best friend and Abhi’s ex. 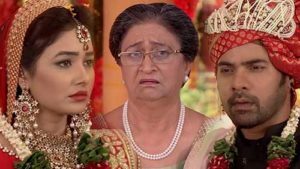 Her utmost aim is to separate Pragya and Abhi and she intends to do this by claiming her unborn child’s paternity to be Abhi’s, whereas her pregnancy belongs to another man named Nekhil. She tries to manipulate her self into the Mehra’s family. Aliya is the younger sister of Abhi. She refuses to reprocate the love and respect she gets from her brother in fact, she plots against him and Pragya. She thinks that she could not get the love of her life(Purab) because they influenced him to love Bulbul instead of her. This made her hate Pragya so much that she can go to any extent to throw her out of Abhi’s life. Purab is Abhi’s true and best friend who stand by him through thick and thin. He also fell in love with Bulbul and loved to marry her. He does all he can to see Pragya and Abhi happy and united. Purab is among the Top Actor’s replacement this year. Mitali is the wife of Raj and a sister in law to Abhi. She is comic, childish and always want to be aware of all that is going on in the house. She can change anytime just to get what she wants. Simonika is the widower who was arrested for Daadi’s murder. She later becomes a villain in the story as she plans to separate Abhi and Pragya in the quest for revenge. Are you all excited to watch season 2? leave your comments below.